Prepare to Take a Stand! Take a Stand for Marriage & Family! 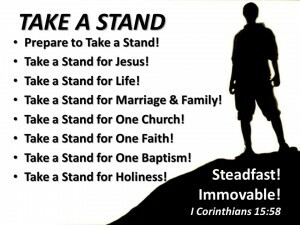 Take a Stand for One Church! Take a Stand for One Faith! Take a Stand for Holiness!